Country Corner Greenhouse has been in business for 27 years. Ted and Carlene Vowels, childhood sweethearts, decided they wanted to open their own business. They moved their family to Shepherdsville, Kentucky from Louisville in 1980. Carlene’s family owned greenhouses in Louisville, and Ted started working for his father and uncle at the age of 12. He learned everything he needed to and decided he could do this on his own. In 1981 Country Corner Greenhouse opened their doors and never looked back. Most of you probably don’t remember the “shack” with one greenhouse attached to the back, but the “shack” held on for years. It went through many, many seasons with Country Corner Greenhouse until it was decided it was time to go. Country Corner now has a wonderful garden center and 13 greenhouses. Ted and Carlene’s son, Ted Vowels, Jr. (Teddy), has 9 additional greenhouses on his property, giving Country Corner Greenhouse plenty of space to grow their amazing flowers every year. All of Ted and Carlene’s kids, Teddy, Dora, Lisa and Ann have worked at Country Corner. The busy times are what brings everyone together. Everyone in the family enjoys it when they are all there helping out. 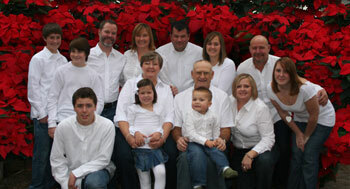 Country Corner’s extended family – their employees – are all very knowledgable and helpful. If they don't know the answer, they will certainly find it or you. There is nothing like a “family business.” Everyone at Country Corner considers it a privilege to have served you over the last 32 years. To you, our faithful customers, thank you for all of your support and friendship. We couldn’t have done it without you all. From everyone at Country Corner Greenhouse... Thank you!